May was our first full month with our daughter in our arms and the real beginning of the Middle Eastern HOT summer. Temperatures regularly reached up into the upper 110's and 120's, only getting into the 90's, maybe, at night. This goes on for four solid months and we were ready to hibernate for the long summer. I started back to school this month, slowly, with four hours my first week, adding an hour a week until summer break two months later. I took Grace with my to most of my classes or Ian watched her in the lobby or at home, depending on his class schedule. It wasn't ideal, but it meant that Grace would get to stay in our care for the first five months of her life! 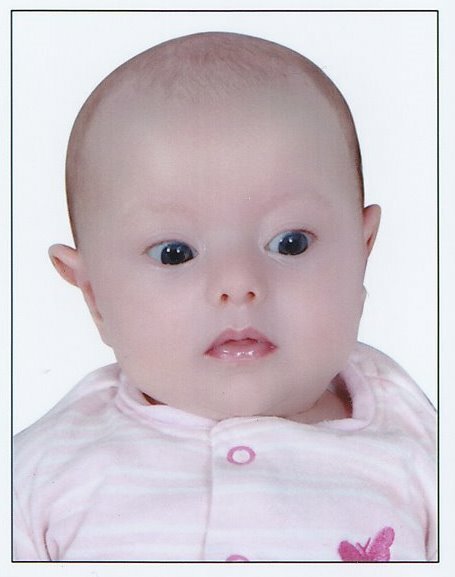 We started Grace's passport/birth certificate/social security process this month, which included a rather disturbing visit to the local photo shop for some pictures. They made her white(r) and added lipgloss. Oh yes, and they painted faint eyebrows on. I was rather relieved when this picture wasn't the right size and we had to redo the passport pictures! It shouldn't be a surprise that almost all of the pictures are Grace related, but I figured I would give you a heads up anyways. 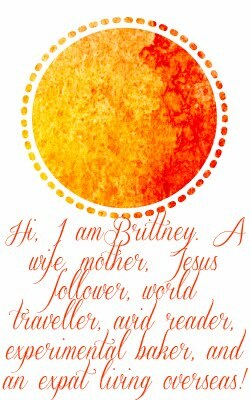 I was a new mom and was (and am) completely enamored with my baby girl. We got Gracie hooked on her pacifier this month, and I am totally glad we did. It is such a comfort to her and, I think, she looks completely adorable with these gum drop pacifiers. She slept swaddled, very tightly, perpedicular in her bed. We placed another small blanket over her, folded into a long strip. I'm really not sure why we did this. I think we started this when she was in the hospital and needed extra blanket, but her little feet needed to have easier access for her blood work. Maybe. Or maybe we thought it might hold her in place and not let her flip over. I'm really not sure. Either way, it looked really cute! Another normal scene was her burping sessions, sitting on one of our legs with a hand under her chin and another on her back for a burp. She usually loved being held like this and only burped this way, not on the traditional over the shoulder way. We started doing mat time this month, but she was so uninterested. Luckily we didn't buy this, just borrowed from a friend, because she probably only used it 8 times. She did love looking at that zebra though! May was also a big month, because I finally learned how to drive stick shift and could finally go out on my own. It only took 10 months until I finally decided to learn! Everyone always said how much Ian and Grace look alike, and the resemblance, especially in the chin and mouth is uncanny. My sweet girl loved to be propped up into a sitting position, and we finally captured a smile this month! May was full of so many first and was so much fun!